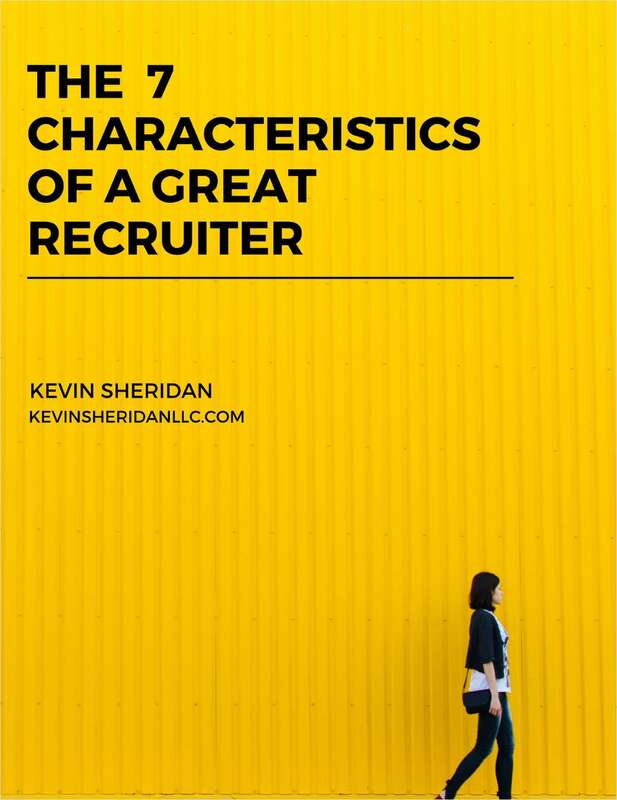 "The 7 Characteristics of a Great Recruiter"
Free Tips and Tricks Guide: "The 7 Characteristics of a Great Recruiter"
Hiring the right people for the right seats on the bus is no small feat. Make sure your recruiter is ready for the task! By submitting this content request, I have legitimate interest in the content and agree that Kevin Sheridan, their partners, and the creators of any other content I have selected may contact me regarding news, products, and services that may be of interest to me.